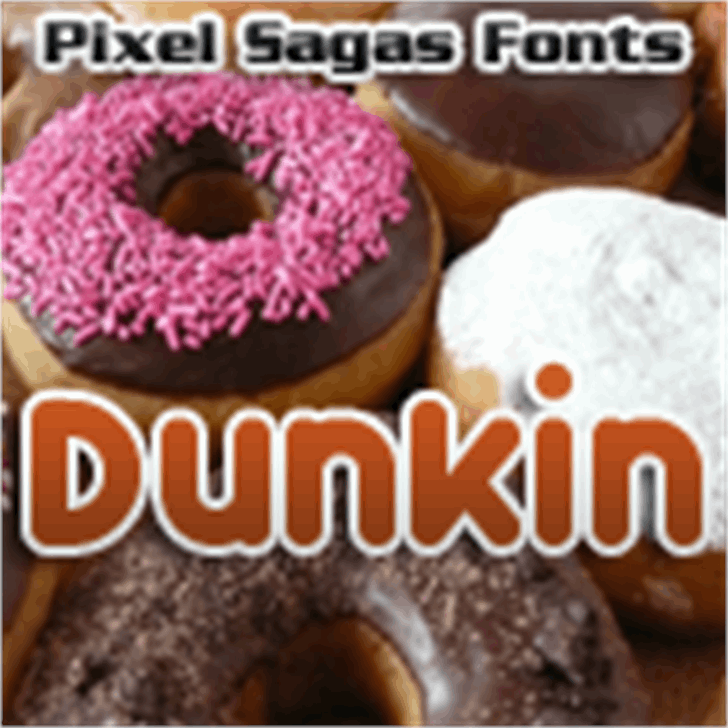 Dunkin is a bold, smooth font based loosely on the popular logo of the “Dunkin’ Donuts” restaurant franchise. Includes full alphabet, lower case, accents, and Euro. Includes bold, italic, bold-italic, and sans versions of all of the above.